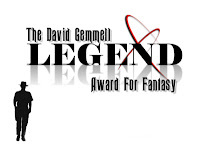 The Gemmell Awards were created in honour of fantasy novelist David Gemmell who passed away in 2006. Gemmell created fantastic worlds built on magic and adventure with epic battles between good and evil. Each award is named for one of his dramatic and atmospheric novels.